In the Fall of 2017, California College of the Arts students and alumni from the MBA in Design Strategy and Strategic Foresight programs started work on their project with the City of San Francisco’s Mayor's Office of Civic Innovation (MOCI), Civic Bridge Cohort, in conjunction with the Office of Cannabis (OoC) and the Digital Services department to design the future-state of Cannabis Business permitting and processing. This project evolved to include other city departments and cannabis business experts. The purpose of this project was to research, design, and communicate with city, industry, and community stakeholders, in-detail, our recommendations for the Future of Cannabis Business Permitting and Processing. 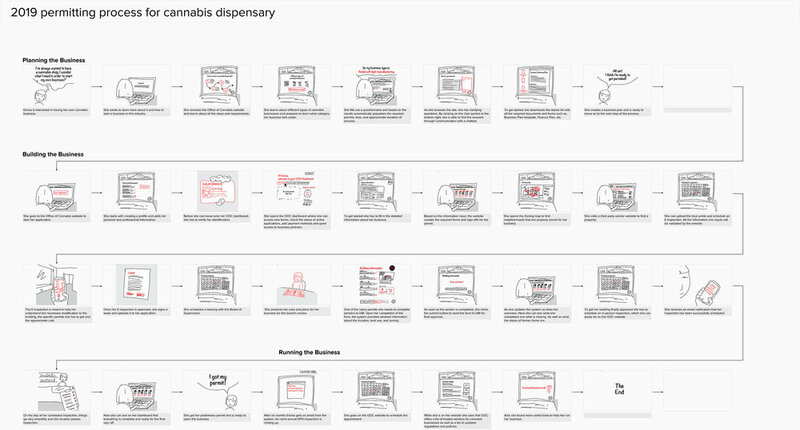 Through detail explanation of our research and service design process and the thoughts and intent behind our work, we hope that the city of San Francisco’s Office of Cannabis will be able to implement a successful Cannabis Business strategy that will continue to positively influence city and state regulations around future Cannabis Business permitting and processes. The CCA team completed primary and secondary research in the area of cannabis business regulation and permitting, researching the best practices from other U.S. cities that have legalized cannabis businesses and interviewed both city government and industry members to understand the existing compliance processes for medical-use cannabis businesses. Our process followed a human-centered design framework, which focuses on building empathy for the end-user through interviews, generating new ideas through creative problem solving tools, designing the prototype and presenting it to the end-user for feedback and after rounds of iteration, delivering the final idea to the OOC. The information gathered from our interviews were fed into the Permitting Matrix. That information along with the qualitative data learned helped us to develop questions for interviews with the City’s Cannabis Industry Businesses. Combining our research from internal and external stakeholders, we synthesized our findings into user Personas and Existing Journey Maps to understand the user’s perspective. 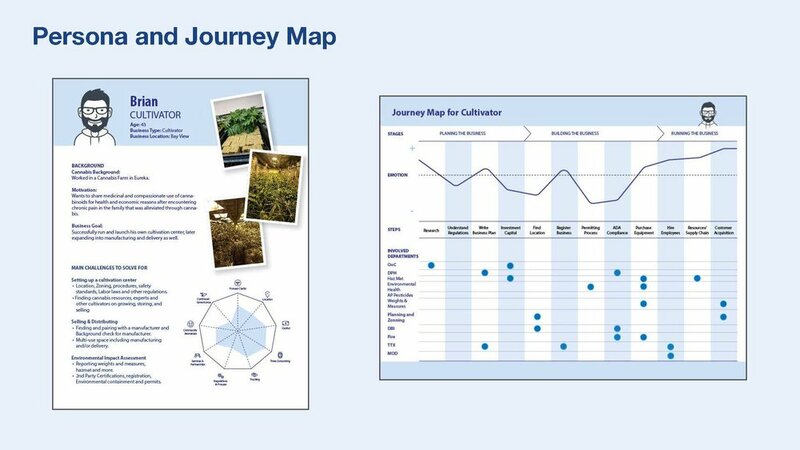 The Existing Journey Map, Personas, Permitting Matrix, were used to develop our idea of the Future-State of Cannabis Permitting and Processing presented as the Future-State Service Blueprint paired with a Future-State Service Canvas to be used in a workshop to test and iterate our Future-State concept. In this workshop city and industry stakeholders would ideate around the 9 areas of opportunities that we identified. Our Future-State workshop was used to give city stakeholders and industry stakeholders a chance to give valuable feedback to our future-state concept, to refine our concept to improve outcomes. 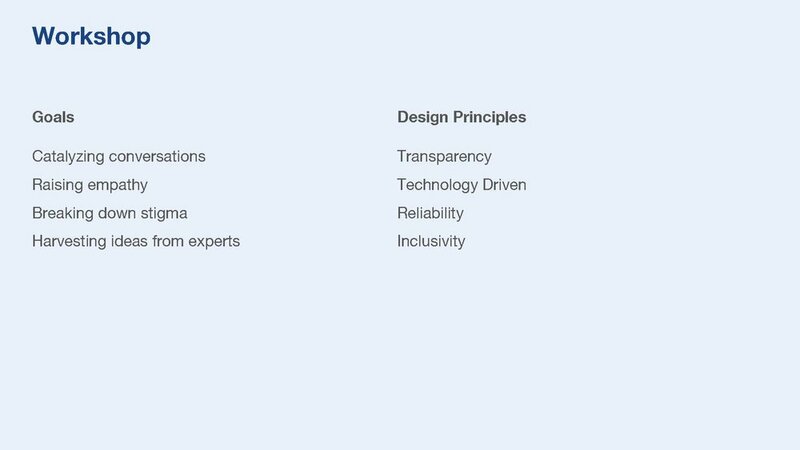 The result of this refinement allowed our team to reiterate our initial future-state concept into our final concept. Through this process, we are able to validate our ideas and refine any ideas that proved to be ineffective. The final concept for the Future of Cannabis Business and Permitting developed goes through three stages of planning, building, and running a Cannabis Business. Using our Future-State Service Blueprint, Future-State Journey Map, and Future-State Storyboard, we illustrate user touchpoints and actions. In this future-state, the city creates supporting permitting and processing features informs, supports and protects applicants and city departments. Both applicants and city departments will receive new tools and systems loops for inputting and receiving data, validating and securing documents, approving and following-through with future processes in an applicant and city user-friendly platform. Using behavioral economics to design the user interfaces and the right IT system for machine learning and data sharing, all users will have a more successful business permitting and launching process.